All righty, the story behind these two is that me and a couple of Canadians and fellow Americans got together and brainstormed two ponies - one would represent America (Amber, one on the left) and one that would represent Canada (Maple, one on the right). The is probably one of the oldest pics I've done to date, but there's a lot of sentimental value behind these two, for me at least. 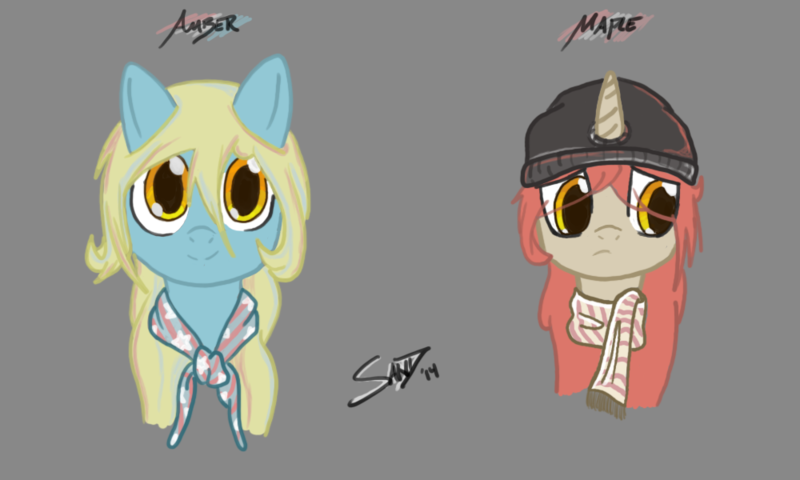 This is a bust drawing of Amber and Maple that ended up being the final outcome of all our tweaks and changes. Also, they're sisters because sisters are adorable. Need there be a better reason? I think not!